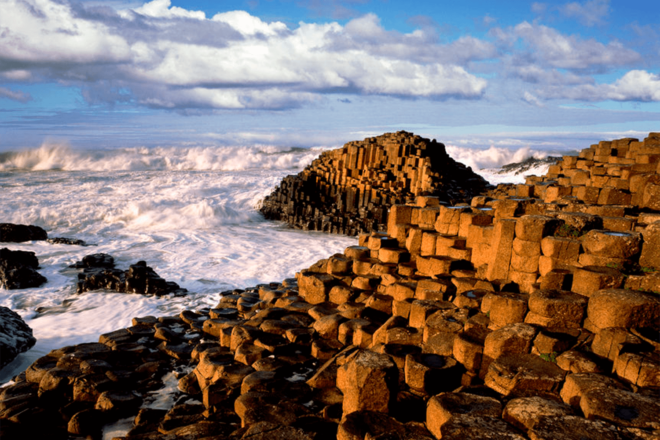 The Giant’s Causeway is the gem of the Causeway Coastal Route and a UNESCO World Heritage Site. Hairy Lemon Ireland is known for its welcoming, fun-loving, hospitable inhabitants. Traditional beliefs are still central to Irish culture today – many of these being traced back to Celtic traditions. One of the best-known tales is of Finn McCool. 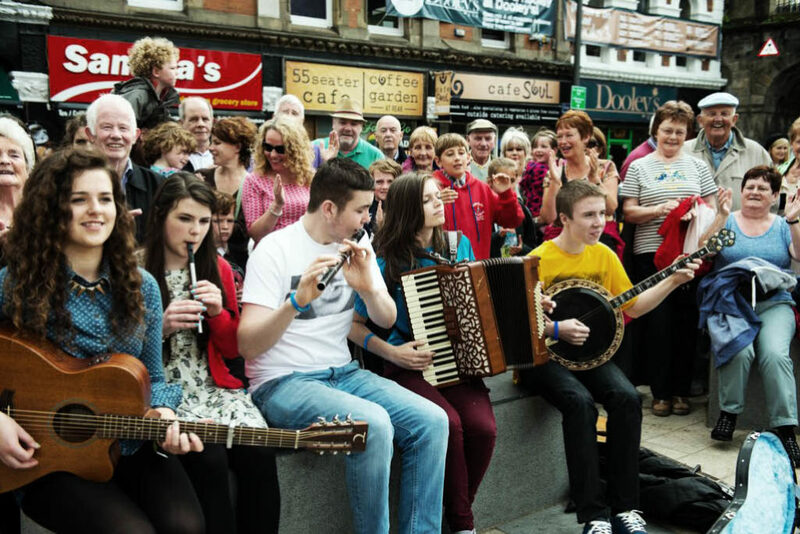 Fleadh Cheoil na hÉireann is a national music festival that attracts more than 250,000 music lovers each August. 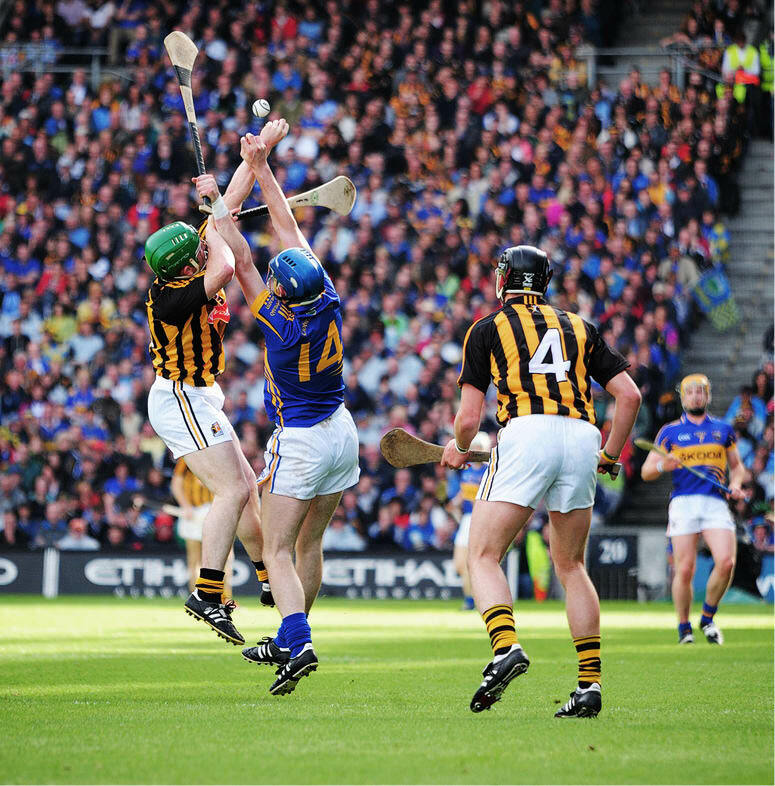 All-Ireland Finals of Gaelic football and hurling championships played in September is the biggest day on the Irish sporting calendar when more than 80,000 fans crowd into Dublin’s Croke Park. 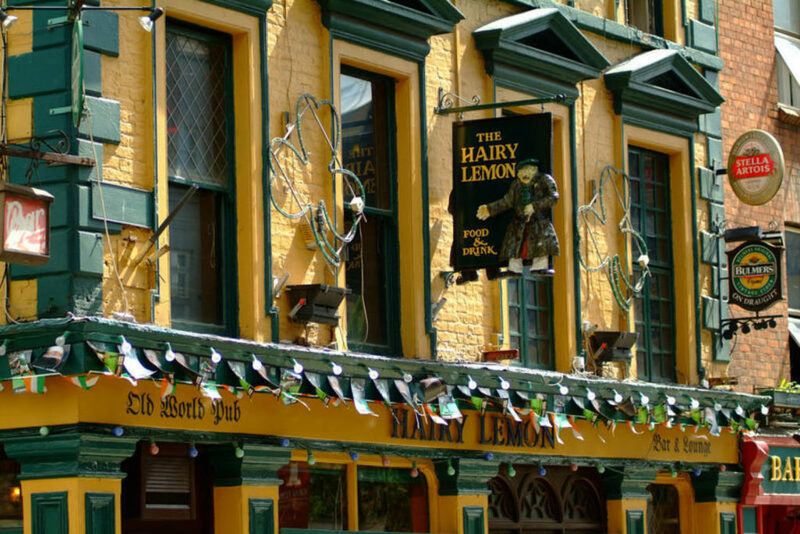 Within seconds, we are following him down the street – his coat tails flying, and into The Hairy Lemon on the corner. Through the front bar he strides and announces to the restaurant manager: “These are my aunties – look after them.” As we tuck into seafood chowder, Conor re-appears with another couple and we all start laughing. He’s basically filled the restaurant with hotel guests he’s personally escorted in. Welcome to Ireland. Conor is typical of the welcoming, fun-loving, hospitable inhabitants of this island of just six and a half million. Perhaps it’s these common traits that the 70 million people around the world who claim Irish descent want to cling onto, with thousands each year coming back to discover their roots through extensive genealogy research. Everywhere, there seems to be a real resurgence of Irish pride. One taxi driver we encountered proudly told us his child was attending a school where all subjects were taught in Gaelic. “We don’t want our language to die,” he insisted. Proudly Irish Christian names such as Aoife (Eefa), Niamh (Neeve) and Siobhan (Shivawn) abound. Most street and place names are in both Irish Gaelic and English and it is mandatory for children to learn Irish at school; according to the 2011 census, some 1.77 million people claimed to speak Irish – forty one per cent of the population. You have a good chance of hearing it in everyday use in the more remote areas of the west coast, referred to as the Gaelthacht. The island nation punches well above its weight in many fields. Literary greats Oscar Wilde, James Joyce, WB Yeats and Brendan Behan, and actors Colin Farrell, Peter O’Toole, Liam Neeson and Richard Harris are international household names. And while traditional Irish music is part of an Irishperson’s DNA, Ireland excels in a wide range of musical genres with folksingers the Dubliners and the Chieftains, rock band U2, and contemporary singing groups such as Boyzone, Westlife and The Script. Among myriad festivals and events throughout the year, the most highly anticipated include traditional music festival Fleadh Cheoil na hÉireann, which is the culmination of a series of qualifying rounds for competing musicians that attracts more than 250,000 music lovers each August to the host town; and the All-Ireland Finals of Gaelic football and hurling championships played in September when more than 80,000 fans crowd into Dublin’s Croke Park for the biggest day on the Irish sporting calendar. In an effort to ensure Irish folklore and customs were not forgotten or lost, the Irish Folklore Commission, together with the Department of Education, initiated a scheme 80 years ago asking children from 5000 primary schools across the country to collect folklore material in their home districts. Gleaning information from parents, grandparents and older folk in their communities, it resulted in half a million manuscript pages on topics such as folktales and legends, riddles and proverbs, customs and beliefs, games and pastimes, traditional crafts and songs. This forms part of the National Folklore Collection at University College Dublin whose archives and library are open to the public. Traditional beliefs are still central to Irish culture today – many of these being traced back to Celtic traditions. One of the best-known tales is of Finn McCool, an Irish giant who built a causeway across the sea to fight his Scottish counterpart Benandonner. 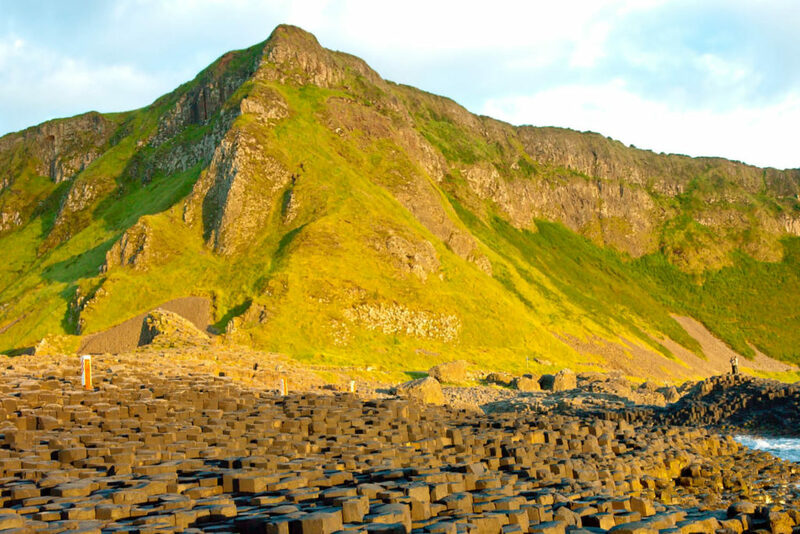 The Scottish giant chased Finn back across the causeway but turned back, ripping up the causeway behind him, and leaving just the ends – the windswept island of Staffa in Scotland’s Southern Hebrides and The Giant’s Causeway in Northern Ireland, one of the most popular sights to visit on the island. Please check your facts before publishing an article. There are quite a few mistakes. Thanks for your email. Which mistakes are you referring to?